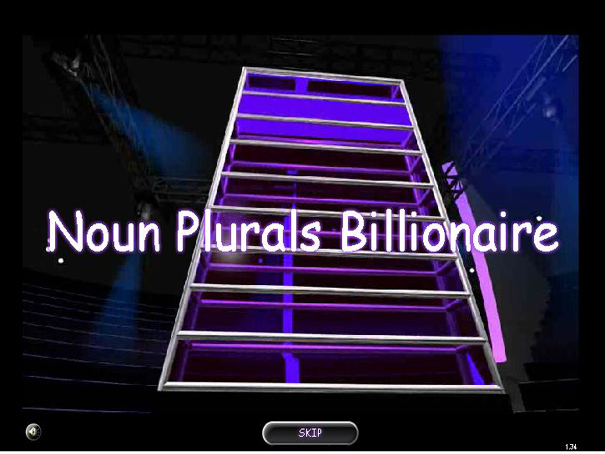 This is a game where you answer questions on plural nouns to win billions. Select how many players, your team color and character you want to play as, then start the quiz! The questions get harder the more you get right. How many plural nouns can you identify correctly in the time?